Author: Atta, Sefi Set In . . . Description: In the Shadow of Silence introduces an important new voice in contemporary fiction. 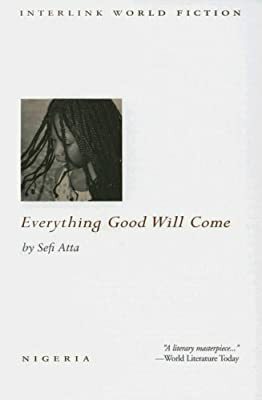 With insight and a lyrical wisdom reminiscent of Edwidge Danticat, Nigerian-born Sefi Atta has written a powerful and eloquent story set in her African homeland. It is 1971, a year after the Biafran War, and Nigeria is under military rule, though the politics of the state matter less than those of her home to Enitan Taiwo, an eleven-year-old girl tired of waiting for school to start. Will her mother, who has become deeply religious since the death of Taiwo's brother, allow her friendship with the new girl next door, the brash and beautiful Sheri Bakare? This novel charts the fate of these two African girls, one born of privilege and the other, a lower class half-caste; one who is prepared to manipulate the traditional system while the other attempts to defy it. Written in the voice of Enitan, the novel traces this unusual friendship into their adult lives, against the backdrop of tragedy, family strife, and a war-torn Nigeria. In the end, In the Shadow of Silence is Enitan's story; one of a fierecely intelligent, strong young woman coming of age in a culture that still insists on feminine submission. The novel evokes the sights and smells of Africa while imparting a wise and universal story of love, friendship, prejudice, survival, politics, and the cost of divided loyalties.